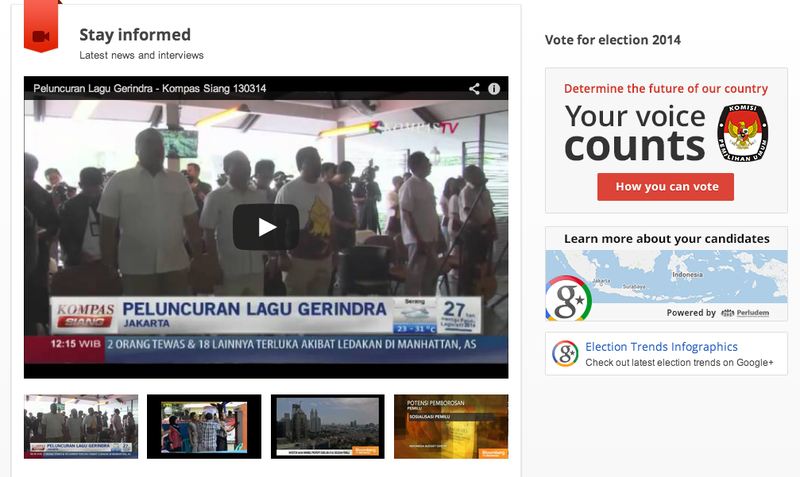 Google has launched a series of tools as it seeks to make itself useful to 1 billion Indian and Indonesian voters, who are heading to the polls next month. These tools listed on the respective Elections Hub pages provide easier access to the latest news, videos, and practical details about the coming elections. 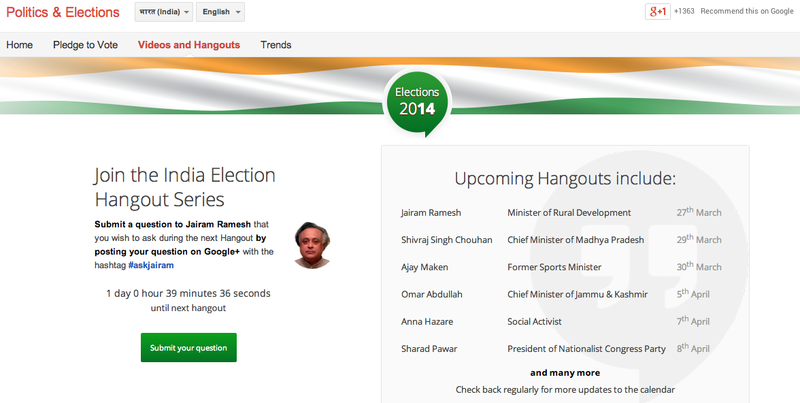 In India, Google has rolled out a series of Hangouts on Air with India’s political leaders. It is also letting Indians submit an interactive Pledge to Vote on the map and make a customizable video to explain the importance of voting. Meanwhile in Indonesia, non-governmental organizations Perludem and The Asia Foundation are using tools on Google Maps to create a candidate information map that will be updated as the votes are tallied on election day. Google has also held workshops to let Indonesian candidates learn how to reach out and communicate with voters on platforms such as YouTube and Google+. India’s general election will be held in nine phases from April 7 to May 12, while Indonesia is having its legislative election on April 9.